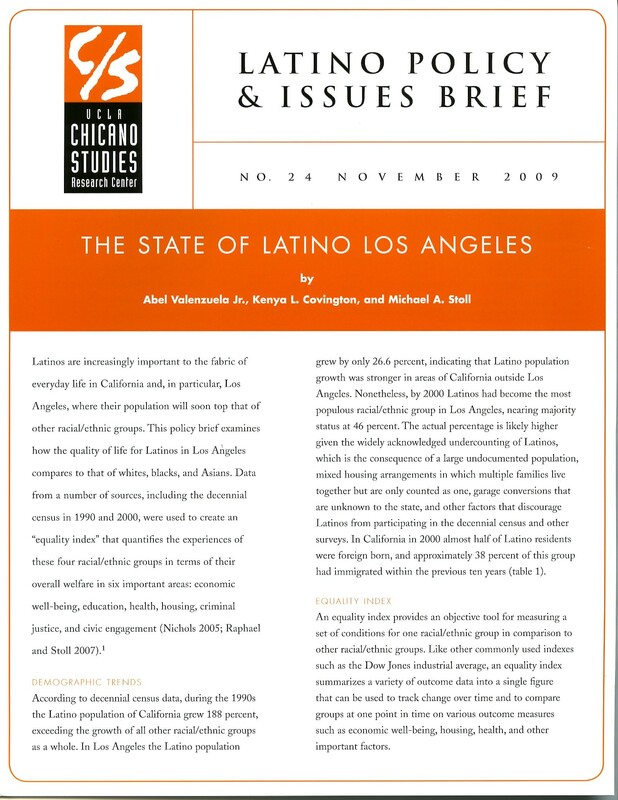 This policy brief examines how the quality of life for Latinos in Los Angeles compares to that of whites, blacks, and Asians. An “equality index” was used to quantify the experiences of these four racial/ethnic groups in terms of their overall well-being in six socioeconomic categories. Results reveal that Latinos experience significant disparities in many areas.